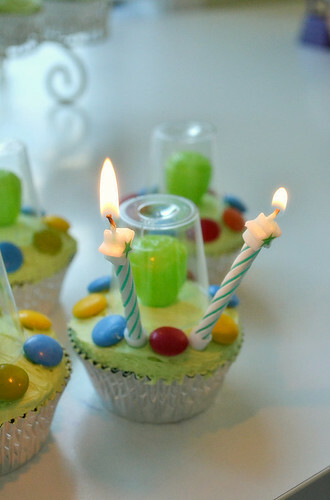 Alien UFO cupcakes for 2nd birthday! 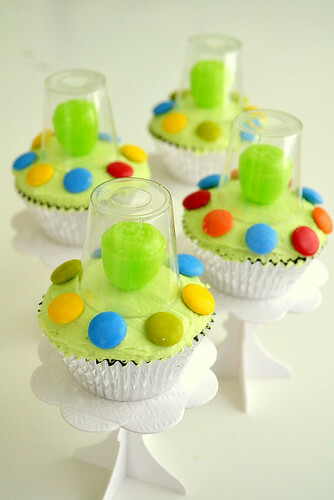 How cool are these UFO cupcakes by Jamieanne of The Sweetest Kitchen (via Flickr)? They were made for her son's 2nd birthday, inspired by Donna Hay. They're chocolate cupcakes with vanilla buttercream.